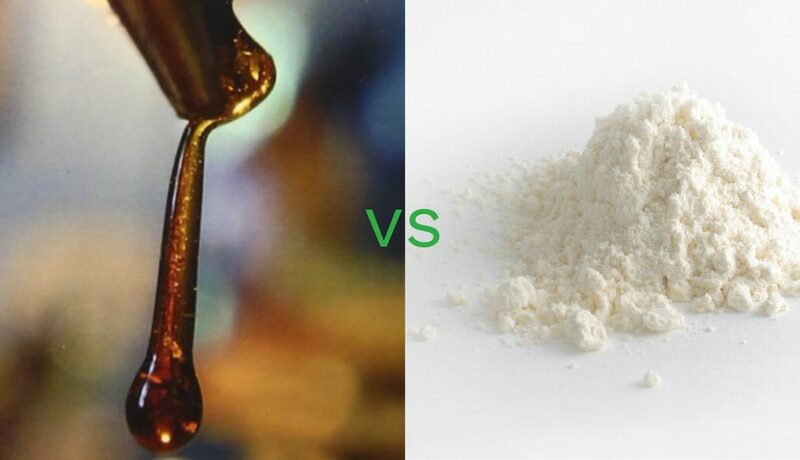 “Full spectrum CBD Oil” is extract derived directly from the hemp plant’s flowering parts, which contain not only CBD (“the leading actor”) which is the most dominant ingredient but as many as a hundred other cannabinoids, terpenes and other compounds such and flavonoids (“the entourage”). This is what “full spectrum CBD oil” looks like in its raw, undiluted form. One way to think about the entourage effect of using full spectrum extract is to see it as similar to eating bananas (which are rich in Potassium) rather than using Potassium supplements. 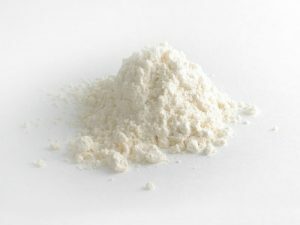 CBD Isolate, on the other hand is just pure CBD, nothing else. Much like eating pure potassium rather than a banana. It might seem obvious to some that it should be healthier to get your vitamins and essential nutrients out of whole, unprocessed foods rather than taking vitamins made up of chemically isolated compounds. We feel the same way about hemp flower extract, and science is starting to tell us the same thing. According to a study published by the Journal of Pharmacology & Pharmacy, full spectrum hemp flower extracts were found to be more effective in alleviating pain and inflammation than CBD isolate solutions. The idea being that the “leading actor” (CBD) works better when it is accompanied by its “entourage” of other plant derived ingredients. Everything we make contains a full spectrum of cannabinoids. Even our vaporizer solutions, despite their high concentrations (40% CBD) contain significant amounts of other cannabinoids and terpenes, all while staying below the legal limit of 0.3% THC. Using full spectrum hemp flower extract in all of our formulas leads to a better CBD oil experience, and our customers let us know about it.